My daughters love Project Mc2. 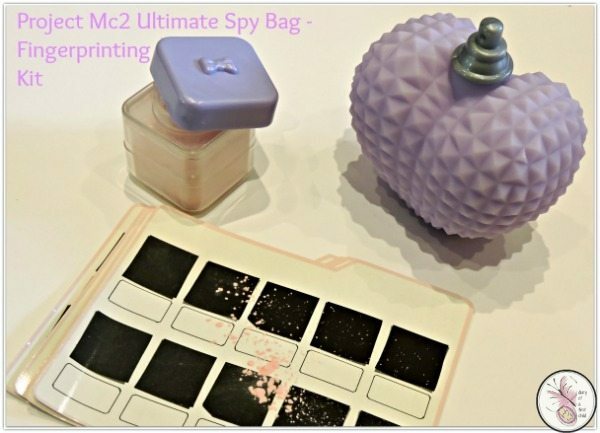 We have dolls and love the show on Netflix, so when we were sent the Project Mc2 Ultimate Spy Bag, I knew it would be a hit and I wasn’t wrong! No sooner had I undone the packaging and the kit was whisked away and drawn into one of the many games my girls play. 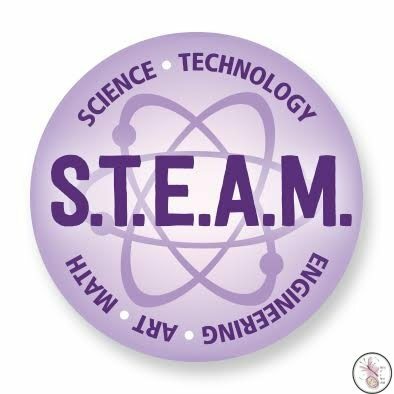 There’s so much work being done around STEM – science, technology, engineering and mathematics – and today is National STEM Day. My 7yo loves science and experiments, and I’m quite keen to encourage her in that direction. This is a fantastic kit, and it’s really cool too, so I’ll get the one thing I don’t like out of the way – the heavy plastic of the case is unfortunate as I think it makes the clasp (plastic too) the weak link of this case. It looks like a soft, satin finish toiletry case, which would be even cooler. I guess it’s just a toy so I shouldn’t expect too much, but from my adult perspective it makes it feel like ‘girl science’ – not real, not serious…. but of course it’s a toy, and isn’t real or serious! In the case there are 15 pieces – the 2 beakers with lids, 2 test tubes with lids, test tube stand and 4 specimen cards are the ‘science’ bits of the case. 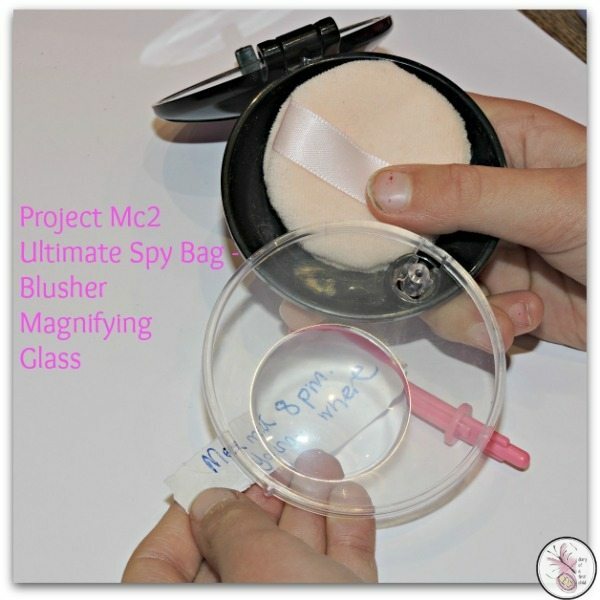 The blush powder doubles as fingerprint powder, the perfume atomizer, the compact with powder puff doubles as a magnifying glass, the nailpolish light and the lipstick launcher make up the spy accessories. Finally, there’s also an experiment booklet. The test tubes and beakers can be used in the experiments, and the perfume atomizer is used for spreading the finger print dust over the evidence. 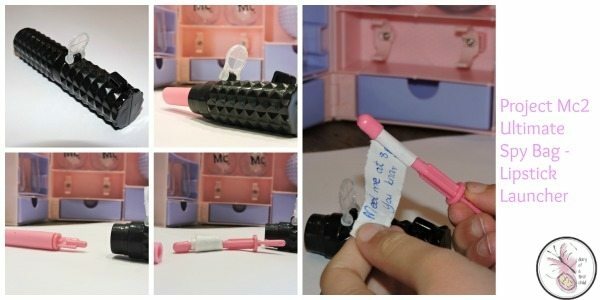 The lipstick launcher is cute – a lipstick tube with a secret – under the removable ‘lipstick’ is a launcher for hiding your secret messages. The compact has a magnifying glass, for… well, magnifying tiny spy print. As the winter days get colder and colder, we’ll be indoors a lot more, so we’ll be doing and sharing the experiments soon – for now, the kids are just playing with the kit and hiding in plain sight as they pretend to be spies and I pretend not to be able to see them! We were sent this kit in exchange for an honest review. Thoughts or opinions are our own. Links may be affiliate links. You will not be charged for using them.